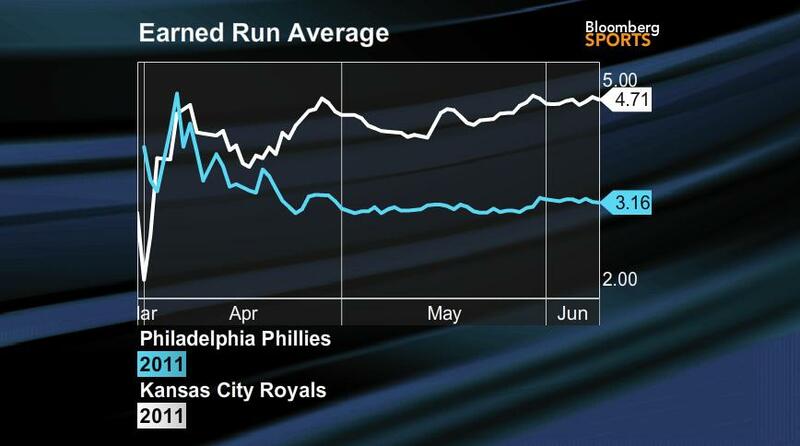 The Philadelphia Phillies and the Kansas City Royals are polar opposites. The Phillies stand atop the NL East with a 37-26 record, while the Royals sit in 4th place in the AL Central with a 27-36 record. Yet, there are more to both teams than their records. It so happens that the Royals are the youngest team in baseball with an average age of 26.2, while the Phillies are the oldest with an average age of 31. Among the youngest players on the Royals, is standout first-basemen Eric Hosmer at 21. Hosmer, is hitting amongst the likes of Placido Polanco, the 35-year-old Phillies third baseman. Kansas City has the lowest Payroll in the MLB at $36,126,400, while the Phillies payroll, $172,976,381 is only second only to the New York Yankees; making the Phillies payroll about five-times that of the Royals. 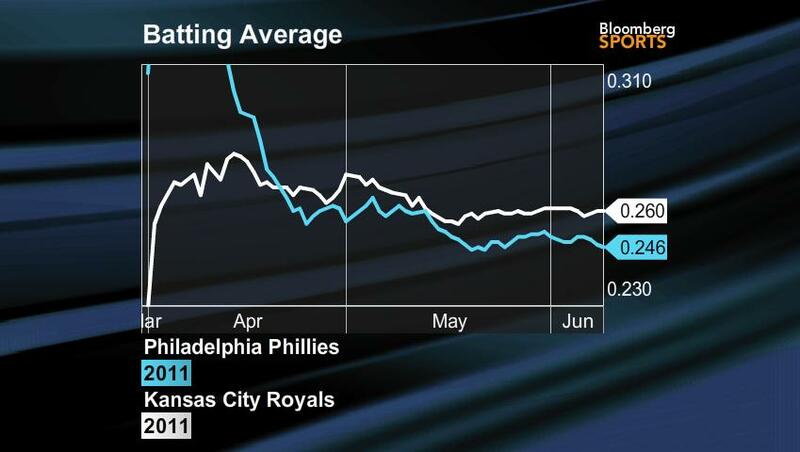 Some good news for Kansas City is that they are hitting well, ranking 9th in Runs, Batting-Average, and OBP. On the other hand, the Phillies rank 17th, 20th, and 19th respectively. The old dogs aren’t just rolling over yet. To no surprise, the Phillies well-tenured pitching staff (including big names Roy Halladay, Cliff Lee, Roy Oswalt and Cole Hamels) are dominating the younger Royals staff. The stacked Phillies rotation ranks 2nd in ERA and 1st in Quality Starts, with the average age among pitchers at 30 years old. With an average age just over 25, the struggling Royals staff is almost in last place (29th) in ERA and Quality Starts. While Philadelphia is the team to beat in the NL, Kansas City is a team to take note of. With the All-Star break coming up next month, it will be interesting to see the performance of these two teams in the latter half of the season. Will the younger team be able to mature and continue to get better as the season progresses? Will the old arms of the Phillies hold up as the games start to add up? Bloomberg Sports Anchors Rob Shaw and Michele Steele visit Yankee Stadium where they meet with Royals top prospect Eric Hosmer. Shaw talks with Hosmer about his first career home run taking place at Yankee Stadium and the incredible talent development taking place at Kansas City. Next, Shaw discusses another former top prospect for the Royals, Carlos Beltran. Shaw explains how Beltran has changed his game, and yet still is a player of fantasy significance.